So I turned the script that I had created earlier into a WordPress plugin. It will give you fillable boxes inside of your WP installation, and all you have to do is make sure you know your login details for both the old server and the new one. Let me know if it works for you! 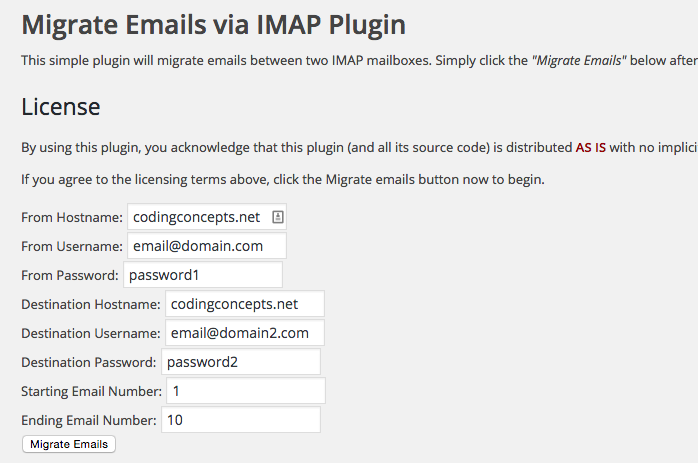 It uses imap_append (part of php) including the 5th date variable so there is a 1:1 copy of your email between both servers. All emails are marked as read. If you limit it to 1000 emails at a time it has very few issues with memory, provided you don’t have extremely large attachments. Here is the link to download the script!